With the beginning of the School term on Tuesday, September 5, 1978, Lincoln High School began operation to accommodate students, grades nine through twelve, from the Shinnston and Lumberport sections of Harrison County, West Virginia. It consolidated two former high schools, Shinnston High School and Lumberport High School. Lincoln High School derived its name from the first public school located in Harrison County in the vicinity of the nearby community of Gypsy. Site preparation began in the Spring of 1975. 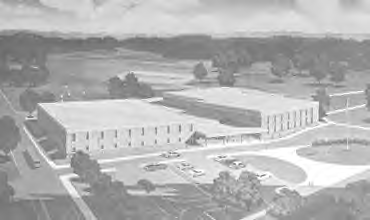 Groundbreaking ceremonies for the building were held September 9, 1976. Cornerstone laying was June 4, 1977. A new addition was added which was completed for the school year of 94-95.